Midi foot controllers. Ideas/hacks etc. Just look what cropped up on my advert feed on Failbook. Looks like I will be getting this very, very soon! I wouldn’t be surprised if it was programmable from the built in display. I was the first one to do it! Looks like a decent bit of kit - I'd like to read the manual though... does it send Notes or Just ccs? It couldn't get much better for the price. I'm curious if it can also send MIDI notes instead of CC? A few programs only accept notes for remote control. Windows is not mentionned, only iOS, Mac and android, which is an issue for me. I will ask them about that, as it seems surprising. I need another (wired) pedalboard only for my laptop. Mcmillen Softstep2 seems to have issues with Windows, and I’m still uncertain to switch to Mac. 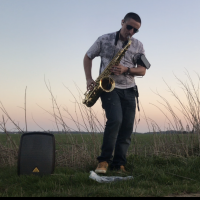 I don’t know if I’ll be able to manage lot of switches, because as a sax player I can’t really look at my foot while playing. looks great. but is it noisy- clicky? or quiet-clicky? Good point. Not sure, this kind can be clicky but can’t see any reviews yet to confirm either way. Well I’ll be getting it anyway even if judging by the width of the unit (285mm) the space between the switches might be minimal. Might have to get pointy shoes as a workaround. This is gonna sound like a nit-pick and it probably is. But I've found that with two rows of buttons stacked like that in a form factor with a chunky depth, it's hard to accurately press the top row. Perhaps my feet are too big. I think it depends on the size to weight ratio. I’m very happily using Zoom G3Xn with 2 rows and it is fine but admittedly the top row is in the middle and not at the top. I guess one could assign the top row for less used functions like clear track. This is part of why I'm so happy with my Line 6 FCB mkII shortboard. 13 footswitches all freely configurable. 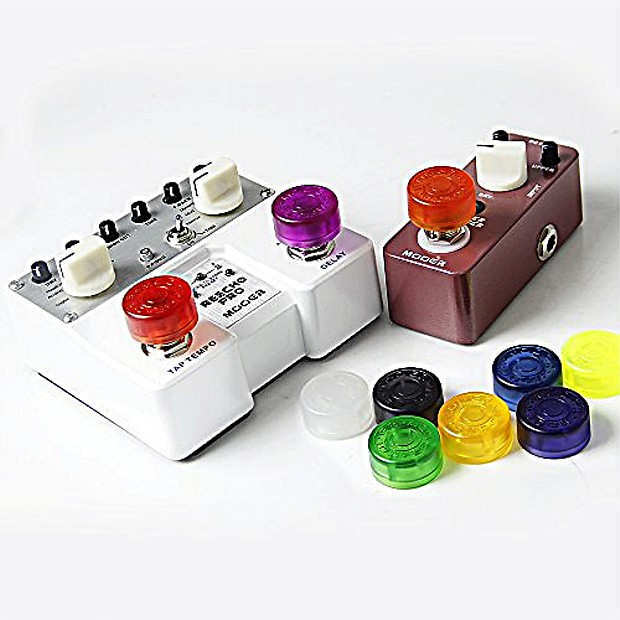 Mooer candy to the rescue! @supadom have you seen the manual I’ve shared on previous post? It seems than two buttons on the right are only for PC change. Other than that doesn’t seems too difficult to setup, and doesn’t need any external editor. I’ve had confirmation from Thomann that Windows 10 is not supported. But it has midi out and is battery powered or can use a power bank/wall plug via usb, so with an audio/midi interface that will works. Perhaps even better as it will leave a free USB port and free CPU ressources to laptop, same thing with iOS and usb hubs/CCK3 which will not be necessarily needed. My iRig pro IO has midi in out and can works on batteries or usb, so that should form a good combo. Yes, I’ve read through it a few times but couldn’t quite work out. From what I understood the switches on the right are just for moving around the lcd menu but I very much hope I’m wrong and you’re right. Even if they only send PC it’s still something I can use. Also great news that it can be programmed on the unit itself. Are you taking the plunge? Yes I think I will give it a try for my laptop, having to use the iPhone and Studiomux for BlueBoard BT connection is not a reliable solution. Thomann offers a very effective refund system in case of need, 30 days to try the unit. If they say there's 10 programmable switches then there's one reason for a free shipping return. I think I'm going to get it too. I just hope the switches aren't too close to each other. I agree with you @supadom I’ve just asked them by mail to have the info, I will certainly get an answer tomorrow. I will ask them for the distance between switches too. It is 1 cm wider than BlueBoard, and has extreme buttons more on case edges, that could be ok.
Hey Jano, any response from Thomann? My finger is itching to get this. I think I will get/try it even if only 8 buttons are programmable. 115 euros is unbeatable. Too bad I suppose it’s a matter of weeks now to get one. Well, I’ve placed an order when there was only one left in stock but they have this funny system with international buyers where you place an order without paying and they get back to you within working store’s hours with payment instructions. In this case more like Spannung!! Music is all about tension and release. This is the case with music gear too. I hope your spannung will release into joyful and shiny chords, not angry clusters!! Now I'm just working at improving dynamics live. 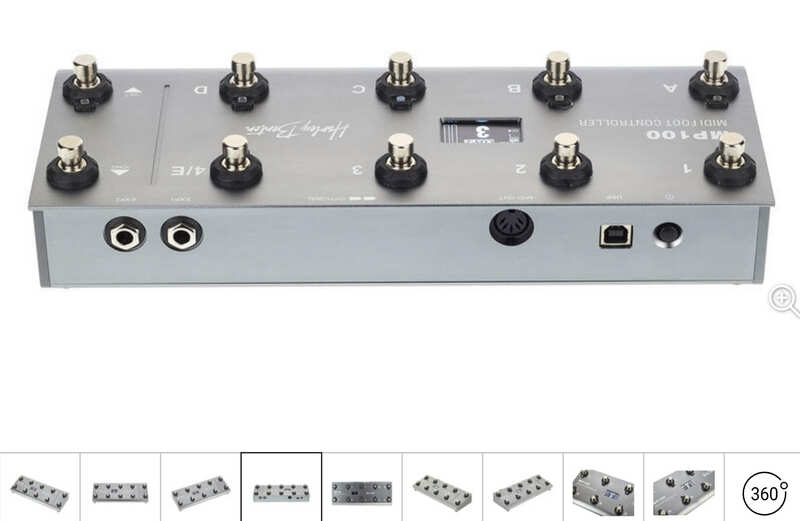 2 dedicated pedals for putting lp filter on some parts and then opening it when the time comes while building it up with the guitar alongside a live drummer should give it enough kick. The top row of buttons seem perfect for that.